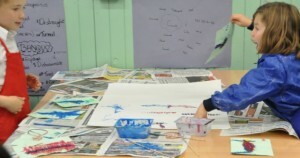 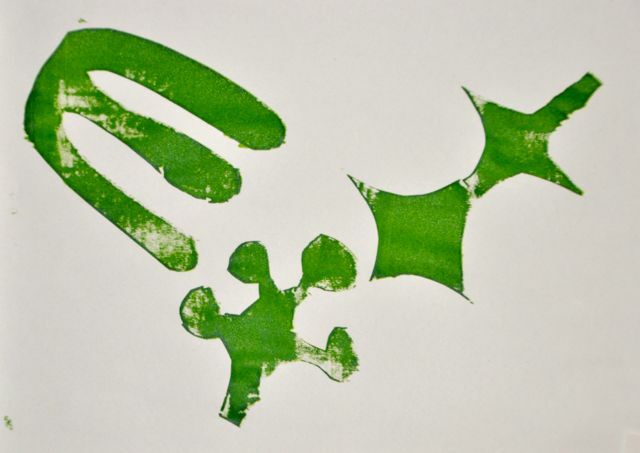 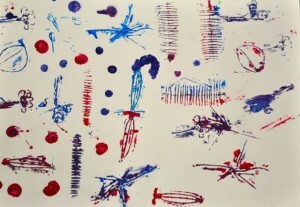 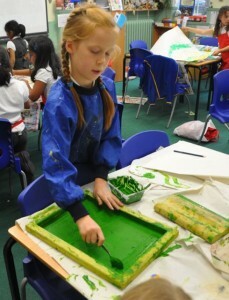 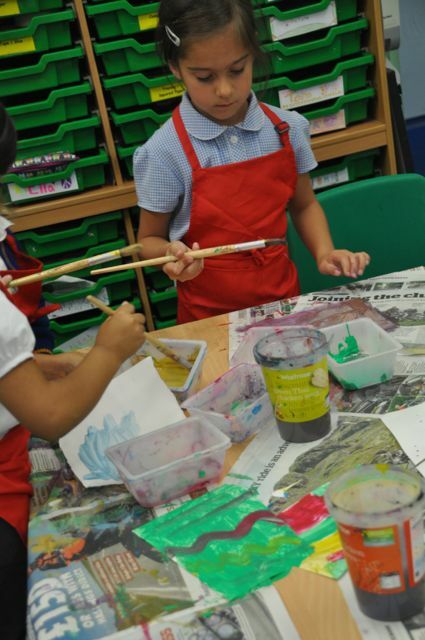 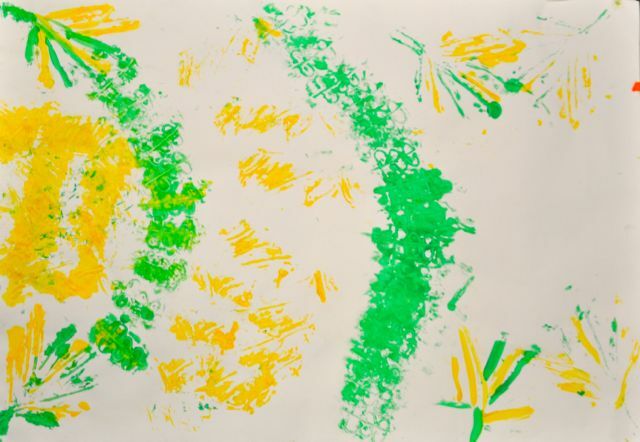 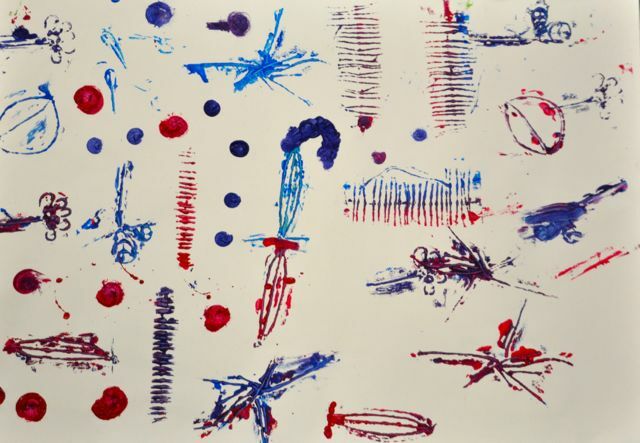 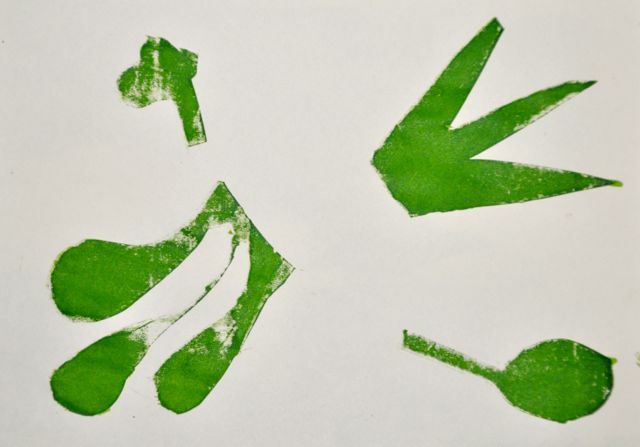 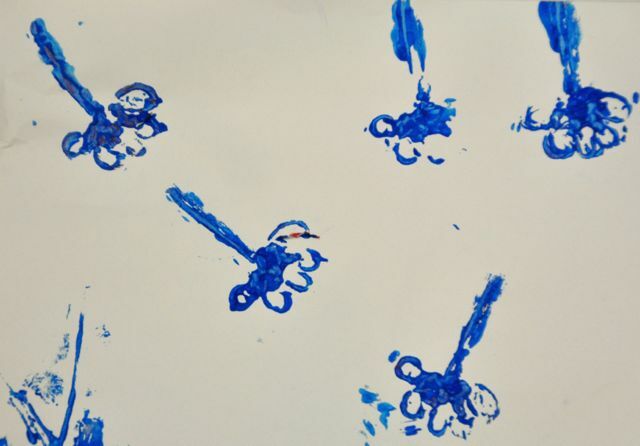 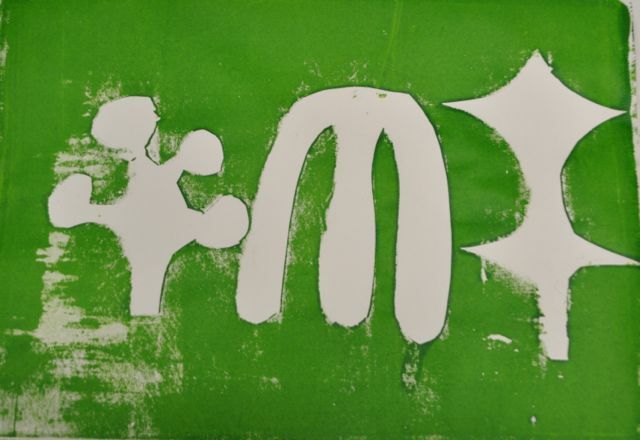 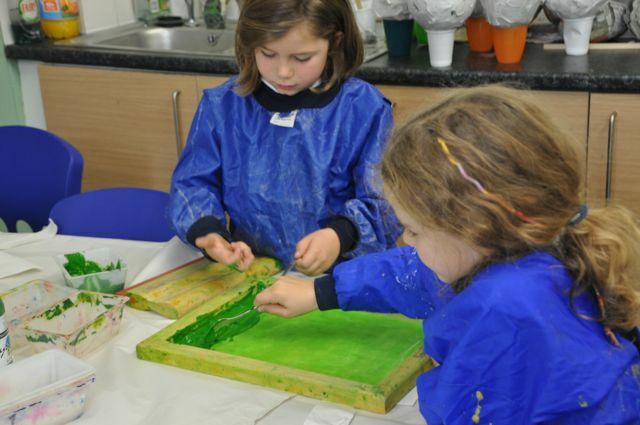 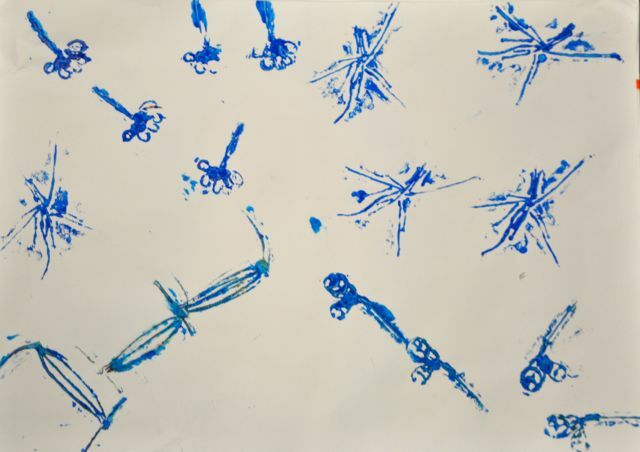 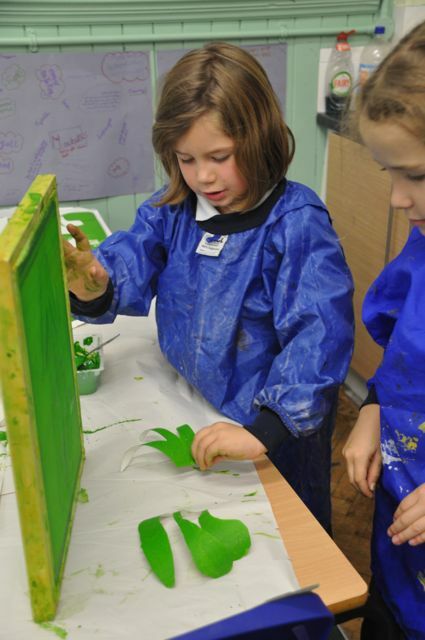 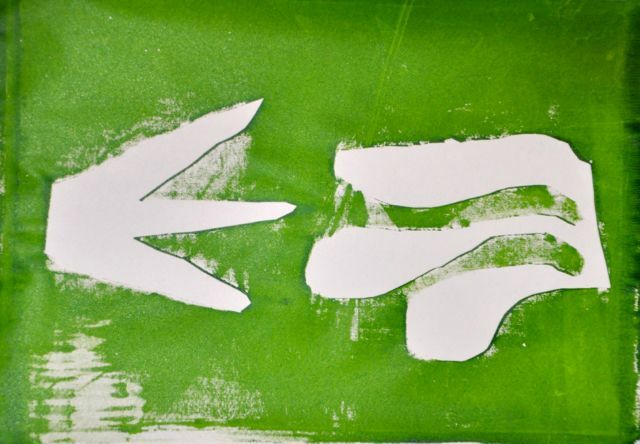 At Merton Park after school art club this week we continued our printing experiments based on our drawings of leaves. 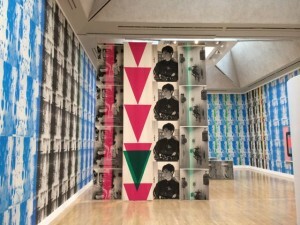 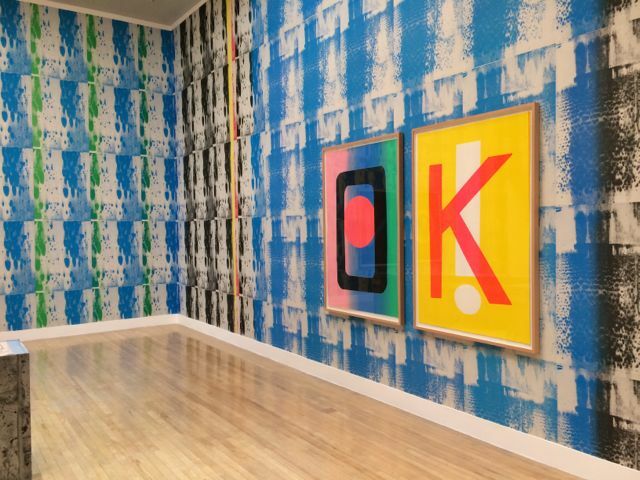 I showed the group images of Turner Prize Nominee Ciara Phillips’ screen prints that I went to see this week at Tate Britain. 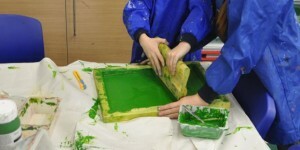 We talked about the different uses of screen printing on fabric, wallpaper, posters and leaflets. 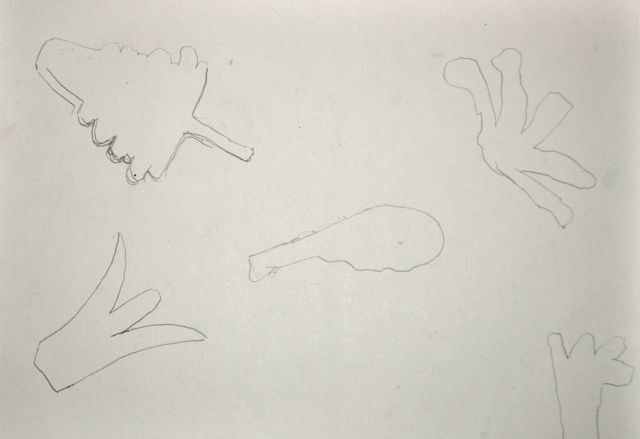 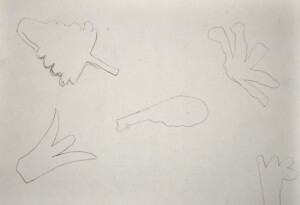 As last week, we made our template in groups of 3, using simplified leaf drawings. We each chose a leaf shape and arranged them together in our groups. 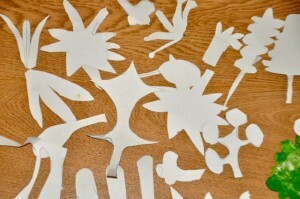 We cut out the shapes to make a template and worked together to make a print. We experimented with positive and negative templates. 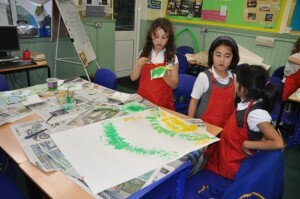 While we were waiting to use the screen we continued to experiment with our string drawings and collaborated to create giant printed pictures. 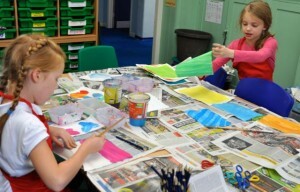 We created some lovely effects by mixing colours and joining shapes. We also looked briefly at how Matisse cut into painted paper to create shapes, ‘drawing with scissors’. We started to create squares of painted paper which we will cut into next week to extend our work with simplified shapes. 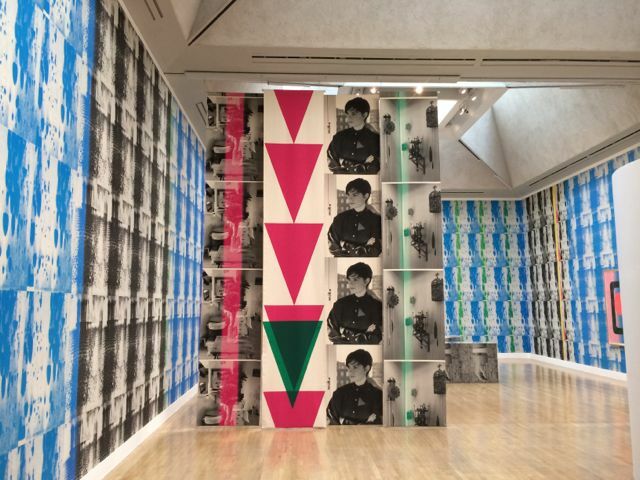 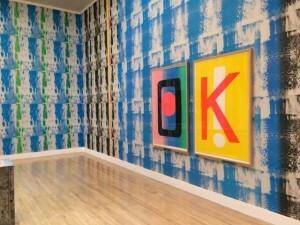 I think we have nearly enough vibrant material to wallpaper our own exhibition space…we just need to find one.